The first day, the woodcutter brought 18 trees. "Congratulations" the boss said "Go on that way"
Very motivated by the bosses words, the woodcutter tried harder the next day, but he could only bring 15 trees. The third day he tried even harder, but he could only bring 10 trees. Day after day he was bringing less and less trees. "I must be losing my strength" the woodcutter thought. He went to the boss and apologised, saying that he could not understand what was going on. "Sharpen? I had no time to sharpen my axe. I have been very busy trying to cut trees". I've always loved this short story! Because it speaks to so many of us and reminds us of a simple truth. Now the 'axe' could represent different things to different people but I'd like to share my thoughts of this story from a women's perspective (of course its relevant to men and women). 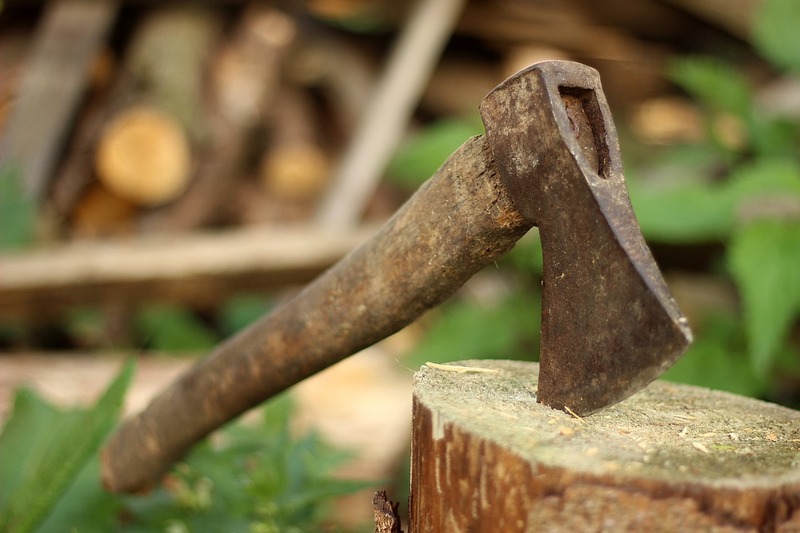 In my mind; we (you) are the axe and the sharpening of the axe is self-care. Our intention is good, our aim in all our busyness is to get everything done. To make sure that everyone's happy, healthy, fed, has clean clothes, a clean house, on time to every possible event; school, sport, lessons of all forms, parties, meetings then many of us try to fit 'work' into that. To contribute, progress and achieve and to generate income to either survive or support the lifestyle we lead. Always striving to do our best, but slowly the pressure, the stress, the constant effort creeps up. We have mini melt down moments all the way to serious illnesses as our bodies and higher minds are trying to tell us to prioritise, take a break, relax and take care of ourselves. Each time I think of this story it reminds me how important it is to invest in yourself by way of feeding your mind (through books, courses, training, learning) but also to take care of you! by way of; time out, meditation, relaxation, doing things you love to do and spending time alone to just be! "When I regularly take care of me - I take care of everything and everyone else so much better"
I have shared this story with a few family and friends and each has their own interpretation (although similar) of this short story, I'd love to know yours and welcome you to share it.